The drums are ominously awesome. School starts today! Expect delays in posting. I refer you to the sidebar for other blogs to visit if mine flounders a bit in the next week while I adjust to a new job and school schedule. So, not to brag or anything, but tomorrow my friends (yes, my friends) and I are having a party. The theme for the party? 90’s hip-hop and r&b. Great awesome radical. Should I dress up as Kriss Kross? Should I play music from my boombox? Check out these songs that totally brought my childhood into a finer focus. If you have any suggestions for other artists/songs, they are greatly appreciated. So the other day I put together this mix for the end of the summer. For me, school starts Monday so it’s almost officially gone. So enjoy these tunes! Click the picture for the link. 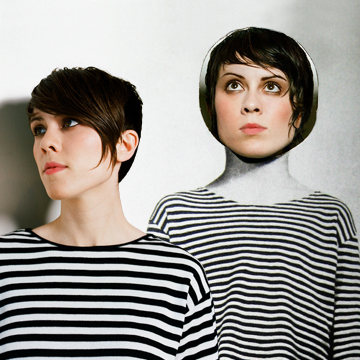 You’re looking at the cover of Tegan and Sara’s new album Sainthood. The album was recording with Death Cab For Cutie’s Chris Walla. The release date is October 27. They’ve also planned out the first few dates in support of Sainthood. YACHT has compiled a mixtape of songs that consciously and subconsciously inspired their awesome new album See Mysery Lights. The mixtape is being called Anthem of the Trinity, an allusion to their love for triangels, undoubtedly. You can buy the CD for $5 at States Rights Records. The tracklist is below. They’ve also released all of the instrumental tracks from See Mystery Lights and the acapella for “Psychic City” so you can use them for karaoke, remix, or however you please. Download them all here. Also, they just released the Psychic City single today digitally with remixes from Classixx, Hot Chip’s Joe Goddard, and Rory Phillips. 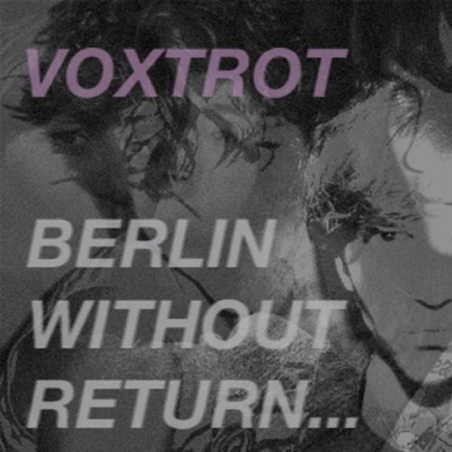 You might have heard that Voxtrot has been making some new music lately, and even released a 7″ a couple weeks ago with two new songs. The A-side is called “Berlin Without Return…” and on the flip is “The Dream Lives of Ordinary People.” I believe both songs were produced by Spoon’s Jim Eno in Austin, TX. In both songs, I can hear hints from their first two EPs, but the sonic grandieur of their LP also. Both songs are enjoyable, and you should purchase them on limited vinyl from their website. Here’s a free mp3 of their other one-off single.